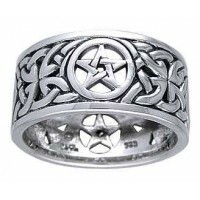 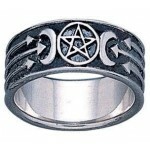 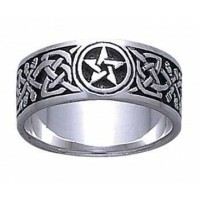 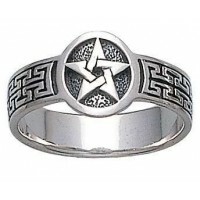 Antiqued background pentacle moon ring features double crescent moons on this stunning ring. 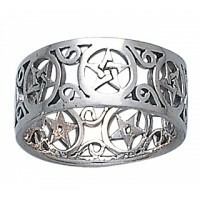 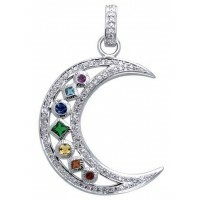 A lovely piece of Witchcraft jewelry or amulet. 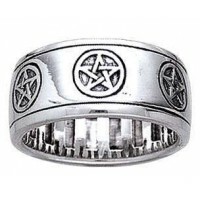 One of the most popular designs of witchcraft jewelry, the pentacle is a potent symbol of protection very powerful for witches, Wiccans, and other earth magic practitioners. 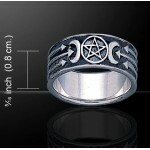 As a witch's amulet, it brings the powers of the Elements - Earth, Air, Fire, Water, and Spirit - to the wearer. 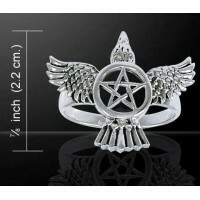 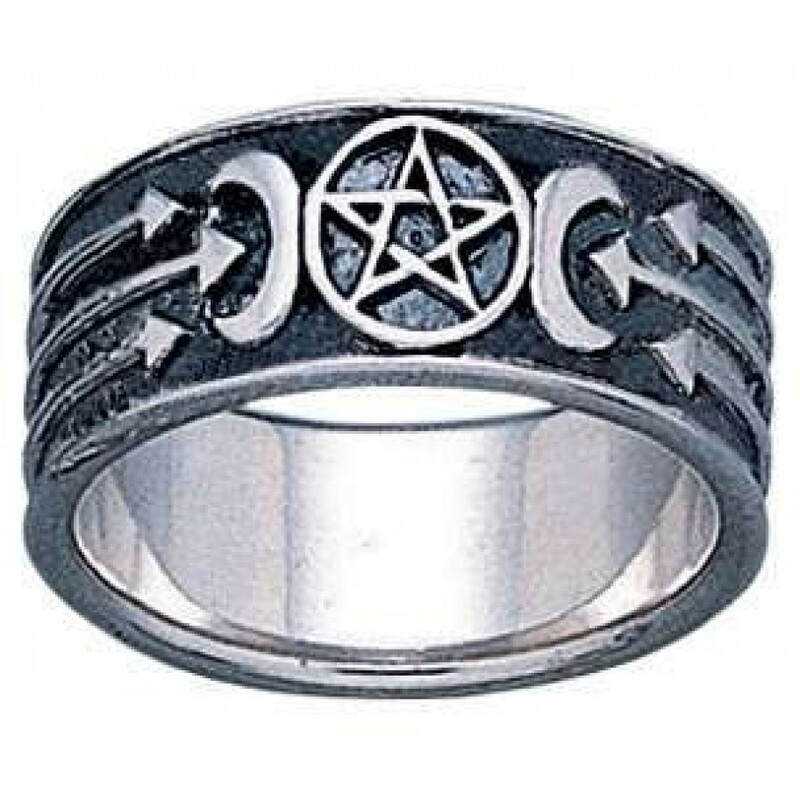 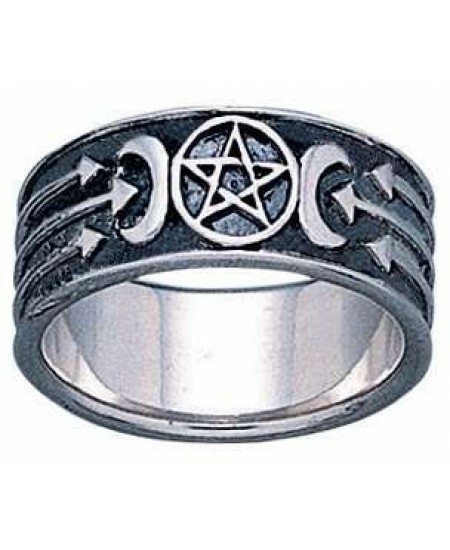 Sculpted sterling silver band pentacle ring is 5/16 inch high with blackened, antique background with crescent moons and pentacle design. 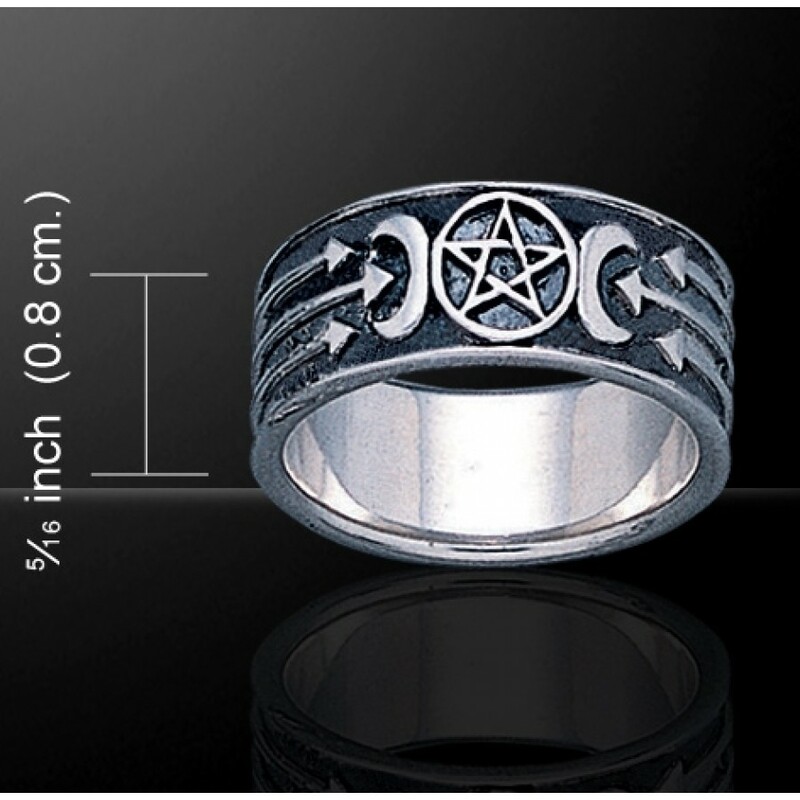 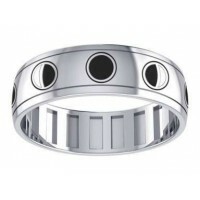 Item Number: PS-TR1688 | Approximate Size (Inches): 0.50 wide x 0.01 deep x 0.50 high | Approximate Shipping Weight: 0.25 lbs.